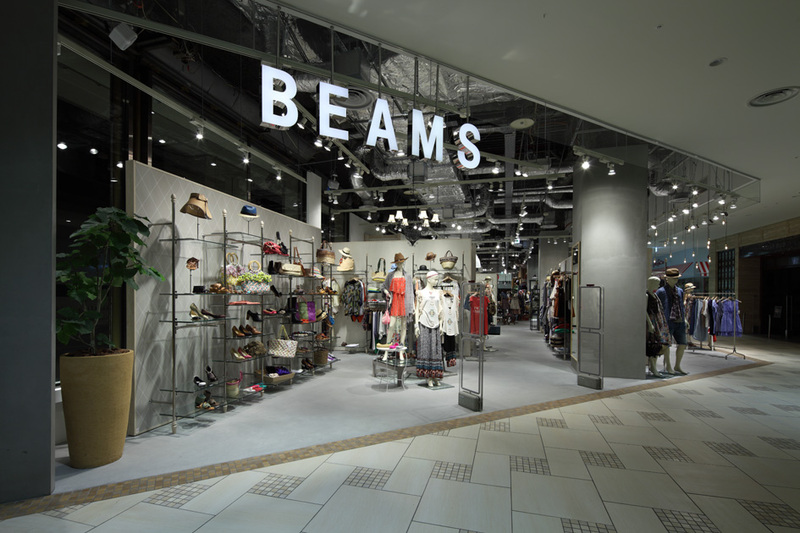 This Beams shop directly abuts a major train and subway station. 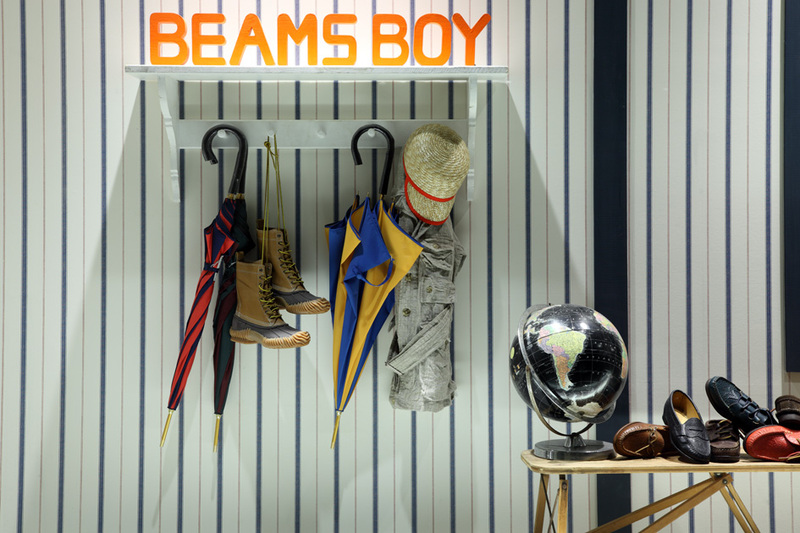 As a result the customers span a wide range of age groups and the items offered by the store range from casual wear to office wear and diverse accessories. 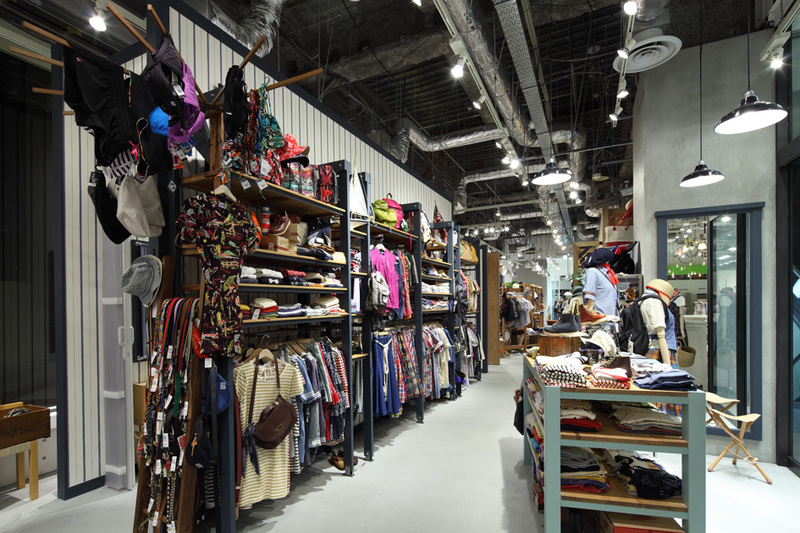 In order to neatly organize the many items offered at this store, Jamo came to call this a "unit" project and began from the starting point of developing display fixtures. 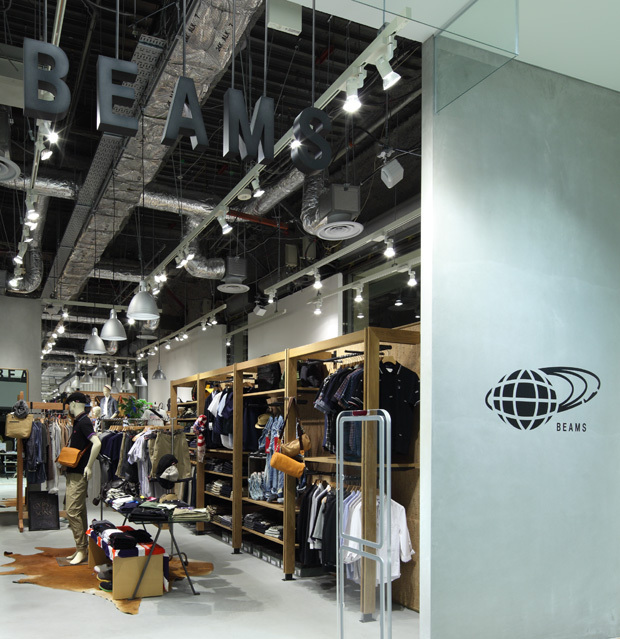 Here the "unit" becomes a large independent box-shaped fixture to which are added various concepts with the aim of creating seamless customer service. 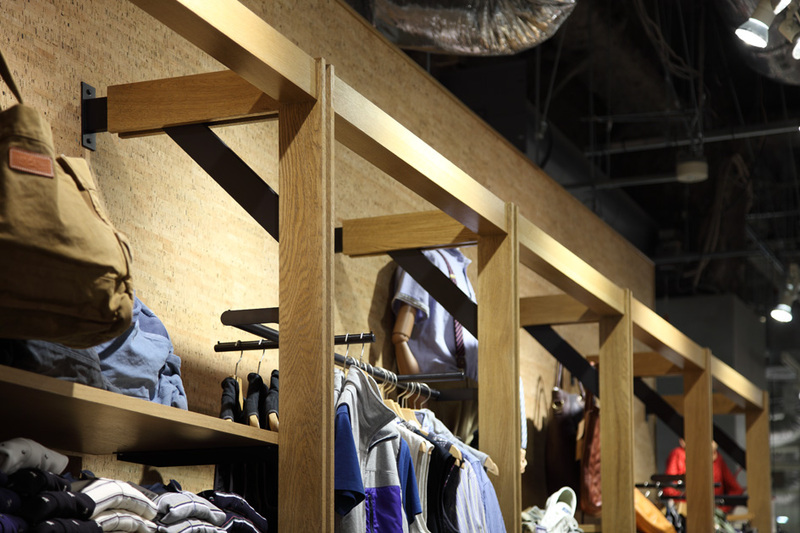 In the exterior part of the "box" Jamo created a space for signage and displays as well as a system where shelves and hangers can be attached in order to display product. 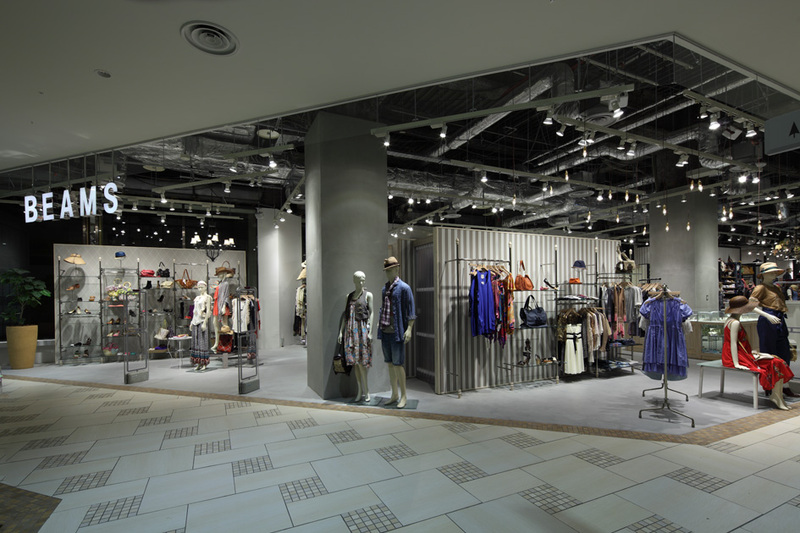 Fitting room and storeroom functions are assigned to the interior part of the "box".